The RB570 is an 18 Volt AC transformer for use with all, UL Rated, Mighty Mule automatic gate openers. 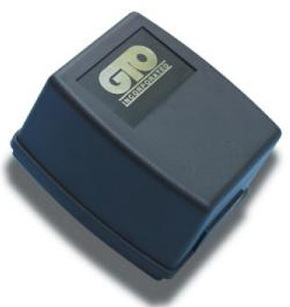 The transformer maintains battery charge by providing a trickle charge of power to the gate opener battery. Use this transformer for the PRO3000, PRO4000, PRO2500, PRO1500 as well as the Mighty Mule FM500 / FM502 and FM350. Also used for all newer PRO2000 or SL1000 gate operators. They will have a warning beeper feature built-in to the control box, whereas the older ones do not. Number of cycles per day usage does not matter. I have had 3 separate online orders from Gate Openers Unlimited over the past 2 years for my swing gates and associated equipment, and have always been completely satisfied. Even though my GTO Pro gate system is old, they always seem to have what I need to keep it going. Finding the products is easy on the website, as is the ordering process with many shipping options. The product always ships very soon after ordering and arrives as anticipated. The quality of the parts is great. A pleasure to work with them. Transformer works great. I had to replace it and the exit wand at the same time. Gate now working for 3 weeks. Gate is used by 6 families, workers, and 4 part time residents. The transformer is working, however the first one failed. I had the gate installed by a contractor. However, after reading the label on the transformed it said to install in a "DRY" environment. This one was remounted by the contractor and I had him put a bucket over the outlet and even with all of the rain have not had any problems. Great deal, fine operation, timely shipping!